Article on Professor Todd Davis' Curry College students' Emmy win for the film "Reflexivity." 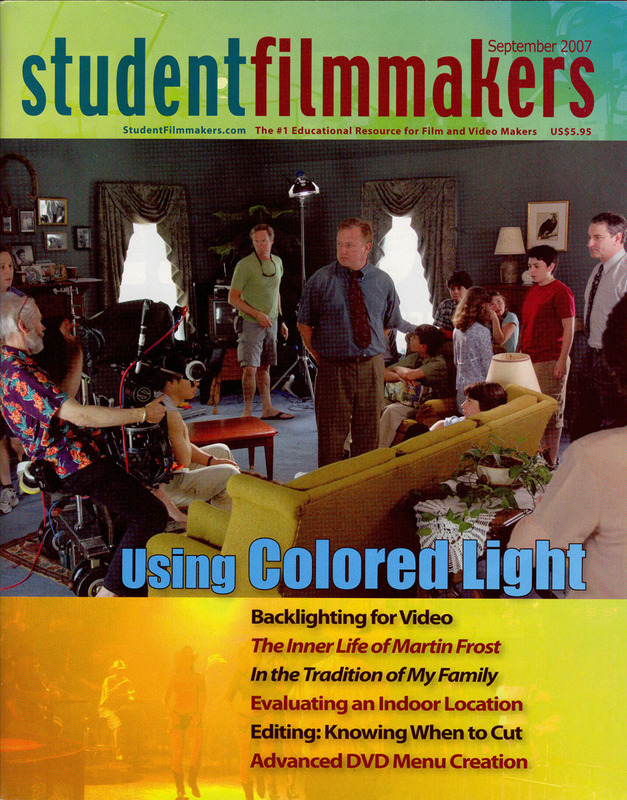 Filmmaker Spotlight: Behind the Scenes of Award-Winning Short, "In The Tradition of My Family"
Cover story (see photo at left), 12 production photos and a 6-page interview with Director Todd Davis in September 2007 issue. Story in the July 2007 edition (page 118) on the Plymouth Film Festival. Along with a mention of In The Tradition of My Family there is a sidebar interview with director Todd Davis, and two production photographs from the film. Preview of the Groton Public Library Film Series "Small time/ big time: Independent films in New England"
Is Hollywood ready for Boxborough? In The Tradition of My Family. (Photograph by Austin de Besche.